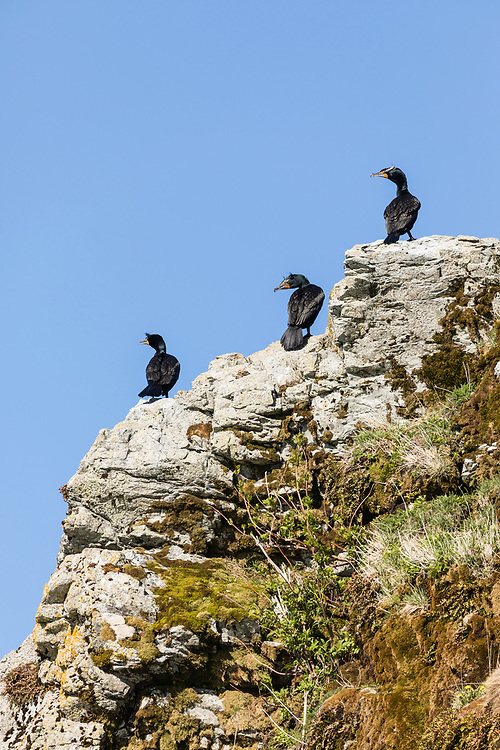 Double-crested Cormorants (Phalacrocorax auritus) perched on top a cliff in the Copper River Delta in Southcentral Alaska. Spring. Morning.